MS 61 forms the principal collection of the papers of Arthur Wellesley, first Duke of Wellington (1769-1852). It contains approximately 100,000 items, the Duke's political, military, official and diplomatic papers covering all aspects of his career. The collection includes some 15,000 papers for the period up to 1805; approximately 25,000 for the period 1806-18; a further 30,000 papers cover the period 1819 to the end of 1832 and there is a similar quantity for the period 1833-52. A separate summary catalogue of the archive has been published (C.M.Woolgar A Summary Catalogue of the Wellington Papers (University of Southampton Library, occasional paper 8; 1984)). A detailed catalogue of the archive is in progress and this forms the Wellington Papers Database. The descriptions that are currently available in the Wellington Papers Database focus on certain sections of the archive, namely: for 1819-32, for the period 1807-8, and for part of Wellington's tenure as Lord Lieutenant of Hampshire. Material for 1809 onwards is in process and will be added to the Database. Further information is available about the arrangement of the Database and sorting codes used in the cataloguing process. Search the Wellington Papers Database which currently focuses on material for the periods 1807-8 and 1819-32, together with material for part of Wellington's tenure as Lord Lieutenant of Hampshire. Find out more about the arrangement of the database and the format of a the catalogue descriptions. 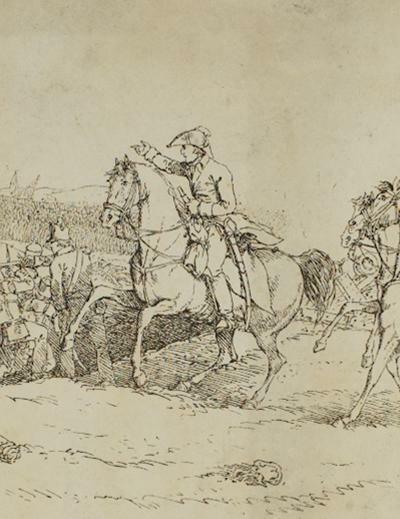 Learn more about the Wellington archive and how the papers relate to Wellington's career.